So it IS an '09 model and not a '10 MY. Good to know. quality interior design and new available technology features. 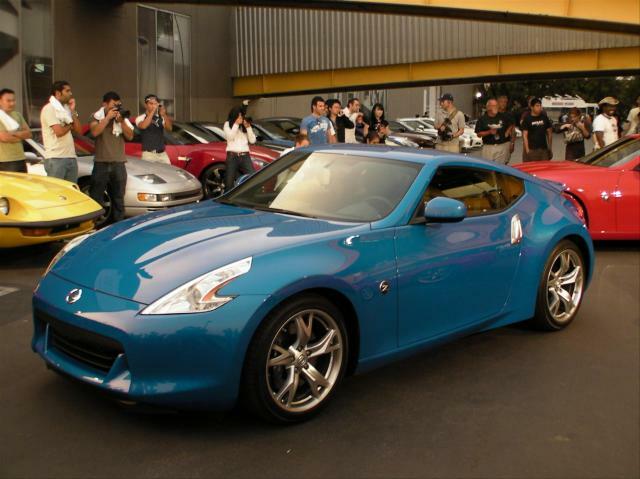 The 370Z’s new aerodynamic body is more compact and offers a more aggressive stance. dynamic presence, elevating the overall styling to much higher quality and emotional levels. so drivers feel completely connected and engaged whenever and wherever they drive. 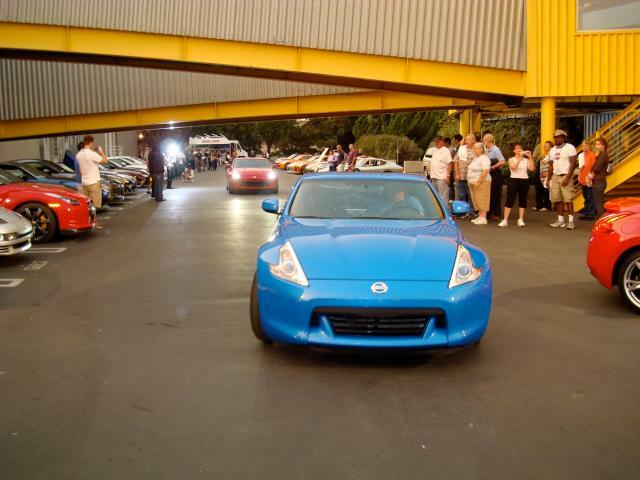 models: 370Z and 370Z Touring. Hey AK370Z is that you? The 4th guy form the left?............I think I recognize you. I think that is a diff cooler. That car is most likely the prototype. Edmunds said there would be one prototype and 2 production z. Weight? Honestly, who cares? There's only so much that can be done with the numerous compromises made in order to sell a (key word here) *safe* mass produced car. At least its no 5th generation Camaro. I'm totally not surprised they need a V8 model to lug all that mass in order to live up to the performance rep.